Home>Diversity management study: is diversity the key to success? 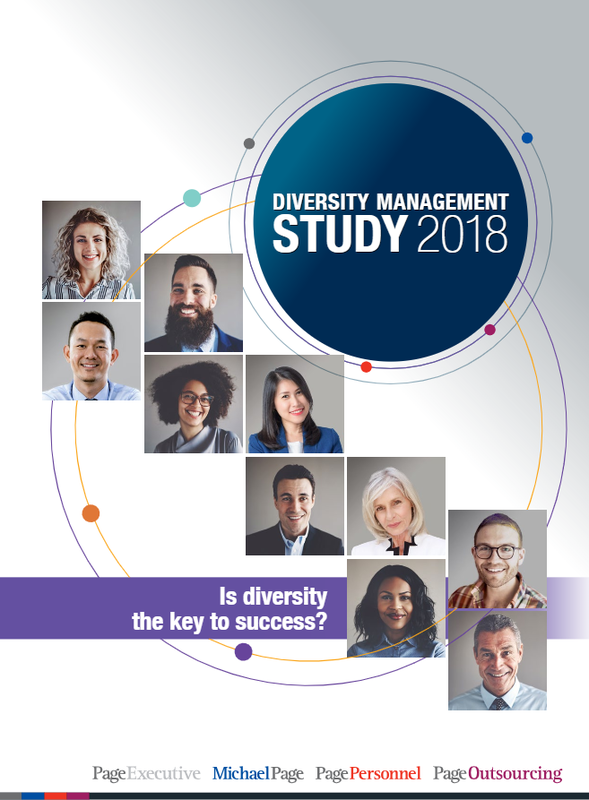 Diversity management study: is diversity the key to success? Diversity in the workplace is high on the agenda of Dutch businesses. More than 62 percent of companies in the Netherlands have made diversity management a permanent part of their policy. Diversity policies are often set at the highest level, indicating how seriously companies take the issue. But what concrete measures are companies taking to promote diversity? What benefits do companies expect from a good diversity policy? And are these expectations met? The answers to all these questions can be found in this study. What is the diversity policy at PageGroup? This study was conducted in September 2018 by PageGroup Netherlands (Michael Page, Page Personnel and Page Executive), and focuses on employees who are responsible or jointly responsible for diversity management within their company. We looked at 151 companies of different sizes and in different sectors. Most of the participants are from the industrial and service sectors.